Although most MotoGP seats are already taken, especially in the best teams running the best prototypes, there are still those who are fighting to continue racing in MotoGP the next few seasons. One of those riders was Karel Abraham. But the Czech rider has finally found a bike to race in 2019 and 2020, since he signed a new contract with Reale Avintia Ducati. Abraham, 28 years old, currently races for the Angel Nieto Team, and from next season onwards he will get better machinery since Reale Avintia will have a Ducati GP18 ready for him, the version that Jorge Lorenzo and Andrea Dovizioso are using now, and in 2020 Abraham will get the GP19 used by the factory riders in 2019. 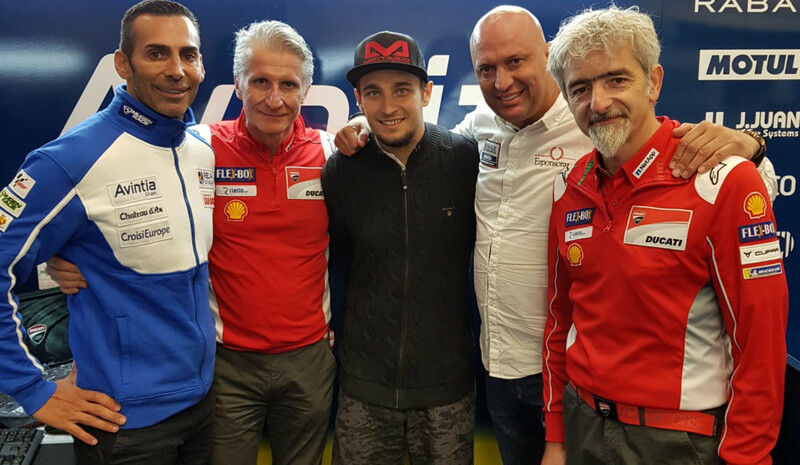 Signing with a Ducati team for two more years not only guarantees that Abraham will stay in MotoGP, despite the lack of positive results, but he is fast becoming one of the riders that has more experience with Ducati prototypes, something that makes him a valuable asset to any Ducati satellite team. Karel Abraham joins Xavier Simeon at Reale Avintia, but Simeon’s contract isn’t 100% guaranteed since it depends on the results he gets this season. And his performance might get a much-needed boost since the team has confirmed Simeon will be able to race his current teammate Tito Rabat bike, the Desmosedici GP17, starting at this weekend’s Misano GP. Xavier Simeon has been riding the GP16 Ducati until now, but due to Rabat’s serious injuries suffered during the British GP, Reale Avintia decided to promote Simeon and give him the GP17 that until now was reserved to Rabat.